Promotional gifts are popular among the magazine advertising industries. ELLE, the famous women’s magazine of French origin don’t break the rule by offering an exclusive promotional gift! 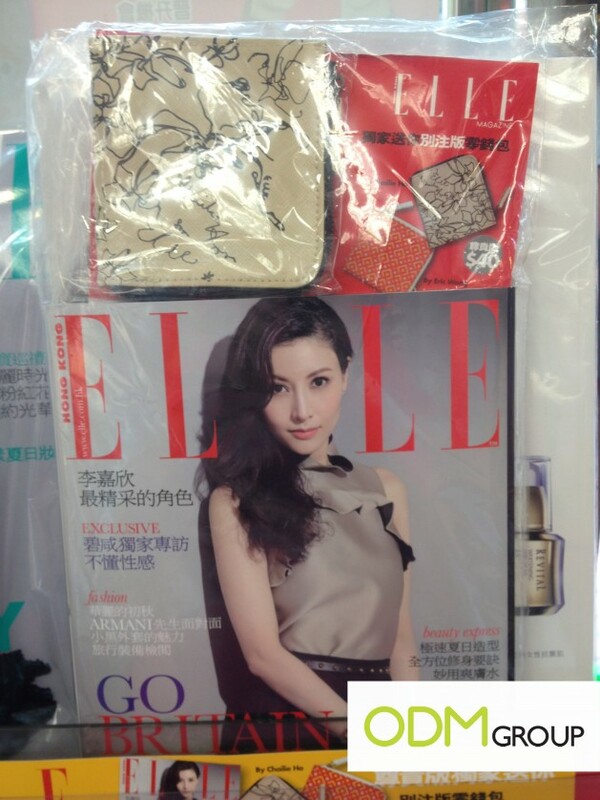 ELLE proposed 2 different wallets to provide an alternative to its readers. These wallets are designed by two famous designers, Eric Wong and Ms Ho. Being so exclusive, this GWP promotion is definitely an interesting one! Obviously, by offering such incentive product would also build on ELLE‘s corporate image.